Midwest Winds is a proud partner of the Kansas City, Kansas Community College. The Performing Arts Center is building A6. 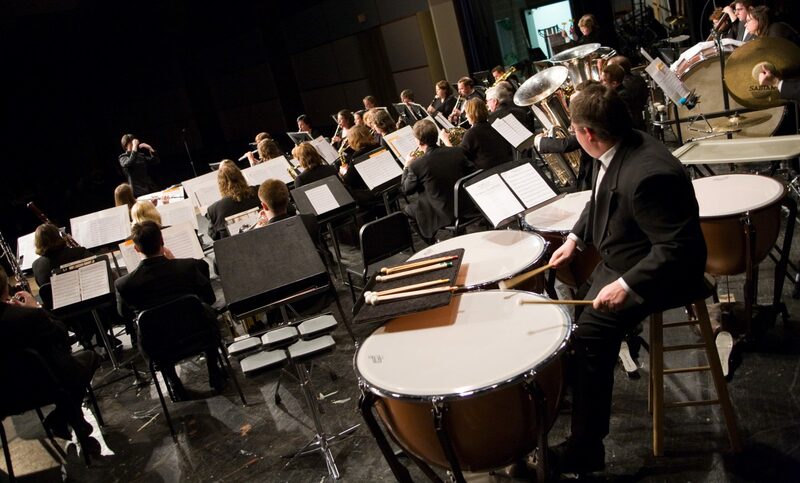 Midwest Winds is a civic wind ensemble dedicated to enhancing the musical arts in the community at large and educating young musicians about instrumental musicianship. The group was founded in 2002 by Pam Kelly, Heather Pickett and Jodie Lin and consists of musicians performing high quality wind ensemble and band literature in the Kansas City metropolitan area. The ensemble performs four distinct concerts per season that appeal to diverse audiences and include literature challenging the musicianship of our performers. • Co-sponsoring or contributing to musical scholarships for students through related musical organizations, such as for performance or new musical compositions. • Commissioning and performing new music. Midwest Winds was honored to perform in the President’s Concert at the Kansas Music Educators Association Convention in Wichita, Kansas in 2006 and performed again at the convention in 2009 and 2014. Midwest Winds is a 501c3 organization.